Jack Kiefer was the son of Carl J Kiefer and Marguerite K Rosenau. He entered the Massachusetts Institute of Technology in 1942 but after one year of study of engineering and economics he left to undertake war work. He served as 1st Lieutenant in the U.S. Air Force and spent part of the time teaching radar. After a break of three years he returned to MIT in the spring of 1946 but it was not clear at this stage in which area Kiefer wanted to make a career. I think I was the one to interest him in statistics. If that's true, it was certainly one of the best things I ever did for statistics. By the way, Jack was really torn between show biz and statistics. Statistics won but it was a close thing. He received his B.S. in Electrical Engineering and his M.S. in Economics and Engineering both in June 1948. His Master's thesis Sequential determination of the maximum of a function had been supervised by Harold Freeman. After graduating Kiefer attended a summer school at Berkeley where courses of lectures were given by Michel Loève and Abraham Wald. In the autumn he began research for his doctorate in the Department of Mathematical Statistics at Columbia University working under Abraham Wald and Jacob Wolfowitz. In December 1950 Wald died and Wolfowitz was appointed professor of mathematics at Cornell University in 1951. Kiefer moved to Cornell as an instructor in the Department of Mathematics and continued working for his doctorate with Wolfowitz. He received his doctorate from Columbia University in 1952 for his thesis Contributions to the Theory of Games and Statistical Decision Functions. Dooley and Jack shared a love of music. Jack aspired at one time to become a proficient pianist. Although he practiced conscientiously, he eventually abandoned that goal with reluctance because of other demanding and conflicting interests. Dooley and Jack were devoted parents of two children, Sarah Elizabeth and Daniel Jonathan Baird, with whom they shared their love of music, stamp collecting, and mushroom hunting. In July 1973 Kiefer was elected the first Horace White Professor at Cornell University, a position he held until 1979 when he retired and joined the faculty at the University of California at Berkeley. Kiefer's main research area was the optimal design of experiments, and about half his 100 publications dealt with that topic. However he also wrote papers on a whole variety of topics in mathematical statistics including decision theory, inventory theory, stochastic approximation, queuing theory, nonparametric inference, estimation, sequential analysis, and conditional inference. His first paper Almost subminimax and biased minimax procedures written jointly with his fellow graduate student at Columbia, Peter Frank, was published in 1951. A paper Sequential minimax search for a maximum which Kiefer published in the Proceedings of the American Mathematical Society in 1953 was based on his master's thesis. The method of search proposed in the paper, namely the Fibonacci Search, became a widely used tool. ... various criteria of optimality of experimental designs. Extending rather special results due to A Wald and S Ehrenfeld he shows that many commonly employed symmetrical designs (such as balanced incomplete block designs, Latin squares, Youden squares, etc.) possess optimum properties among the class of non-randomized designs. He then proceeds to show that, surprisingly, all these optimum results fail to hold if randomized designs are considered. ... methods for verifying whether or not given designs satisfy certain optimality criteria, and for comparing designs which satisfy such criteria. ... the approach being in the spirit of Wald's decision theory. 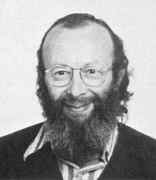 In 1975 he published Optimal design: variation in structure and performance under change of criterion which discussed the robustness of designs against a chosen optimality criterion. In 1980 Kiefer went to China as part of Berkeley's China Exchange Program. He gave eight lectures at Beijing University covering topics such as multivariate analysis, sequential methods, nonparametric estimation, robustness and efficiency of nonparametric methods, fundamentals of experimental design, complete class and regression design, factorial experiment, and nonlinear models, sequential design, and robust design. Kiefer received many honours. He was a Fellow of the Institute of Mathematical Statistics and the American Statistical Association, President of the Institute of Mathematical Statistics (1969-70), the Wald lecturer in 1962, and a Guggenheim fellow at Stanford (1962-63). He was elected to the American Academy of Arts and Sciences (1972) and to the National Academy of Sciences (United States) in 1975. His fascination with mushrooms from the early 1960s saw him move from amateur status to professional standing as a mycologist. This interest led to him being a member of the Mycological Society of America and the North American Mycological Association. His passion for human rights saw him become a member of the American Civil Liberties Union. Jack Kiefer was a gentle man with a great capacity for love and friendship; this was combined, however, with a fierce and sometimes combative determination to uphold the exacting standards he demanded of others, but especially of himself. Having cooperated with Jack over many years, I can tell you how wonderful it was working with him, and how one learned by doing so ... Jack was unbelievably humble, especially for a man of his stature. He would not hesitate to praise a student by favourably comparing the student's work with his own. He was very kind and considerate and spent a lot of time with his students. ... Jack was very critical. He would fight and not give in for a just cause. But mostly he was critical, probably too critical and demanding, of himself. Memorial sessions were held in [his] honour at various meetings of learned societies, as is fitting for scientists of [his] rank. However, for reasons of heart as well as science, we felt that a special tribute should be paid to [him] at Berkeley, where [he] had so many friends. A meeting was eventually organized. It took place from June 20 to July 1, 1983. Jack's friends at Cornell felt similarly. They organized a meeting that took place immediately after the Berkeley conference. It presents the central ideas of mathematical statistics as developed by Neyman and Wald in a decision-theoretic framework, referring to the earlier work of Fisher and others as based on "intuitive" considerations and misleading in certain situations. Jack was a special human being. There was a friendliness and a charm about him, a lilt to his voice, a twinkle in his eye, a smile that attracted everyone. He was a witty, delightful conversationalist, maintaining long and deep relationships, and was beloved by many. He was honest, and true to his high ideals.